If you like to express your creativity through makeup, you should first learn the most common makeup mistakes and avoid them. With so many beauty products on the market, it’s equally difficult to find the right ones and easy to apply them incorrectly. In order to learn how to use makeup properly, you should know what are the makeup mistakes you don’t even realize you are making. For a flawless finish, keep the following 3 mistakes in mind. 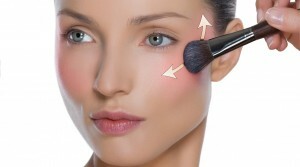 Wearing the wrong shade of #foundation is one of the most common #makeup mistakes women make. To find the perfect shade for you, apply three shades that are closest to your #skin tone to your jaw line and test them in the day light. It isn’t supposed to give your skin a tan, but to cover up any imperfections and create a smooth #complexion, so you need to find the shade that blends in with your skin. If you need to use a concealer, it should match your foundation – a lighter shade will actually draw attention to what you are trying to hide. In order to avoid looking clownish, be careful with your blush. #Blush should give you a healthy and natural glow, so smile and apply your blush on the apples of the cheeks and then blend towards your temples, making sure that there are no harsh lines and that the color is blended. The right shade is the one that matches the natural color you get when you blush, so pinch your cheeks and try to find the shade that is close to the color you see. Applying blush at the bottom of your cheeks will make you look older, so make sure to place it higher to lift your features. While #brows need definition and they shape the entire face, overly drawn brows will make you look cartoonish. Make sure to use a soft brow pencil or, even better, use an eye shadow for this. Choose a color that matches your #hair color and apply with a thin, angled brush. 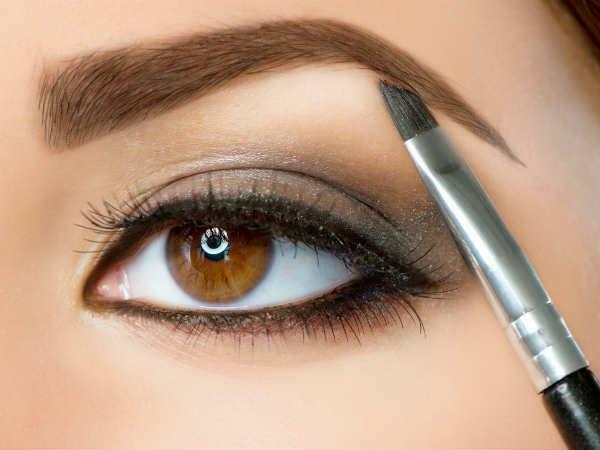 Whatever product you decide to use, make sure to fill your brows in with quick, short strokes.